The United Way of White County funding allocation application for all organizations is published here and must be received by January 3rd 2019. There will be no exceptions. You will find an application here with the link below, please download it, complete and return it to UWWC by the deadline. 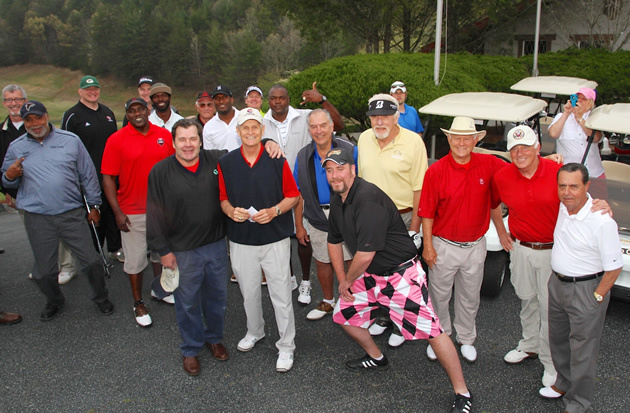 We are gearing up for another great celebrity golf tournament! 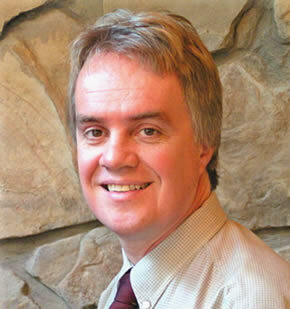 This year we are missing one of our own, committee member, Steve Stack. Many of you may know that Steve battled a brain tumor for the last three years. Sadly, Steve lost the battle to cancer on October 16, 2017 at the young age of 55. Steve was active in volunteering with United Way. He has been involved with the United Way celebrity golf tournament since its inception 15 years ago. Steve's obituary read, "Steve was all about helping people". We, the Chareity Gold Day Committee, can attest to that statement first hand. Steve was one who could light up a room with his smile. He was an accomplished traveling musician. Steve worked for Century 21. Steve is survived by his wife, Theresa and their son, Steven. Steven is following in his Dads footsteps as a talented golfer, composer and musician. Steve's favorite quote: "Life is not a rehearsal.... Live it, baby!" The United Way of White County is pleased again to welcome many celebrities, sponsors and the general public to our annual Celebrity Golf Tournament on April 16th & 17th 2018. As in previous years we will welcome back past celebrities as well as many new faces in 2018 to join us on Innsbruck Golf Course for a great day of golf, fun and great friendships. The festivities kick off with a welcome party and a "meet and greet" the celebrities at Bigg Daddys Tavern at 6.00pm on April 16th 2018. Then be ready for the shotgun tee off at 8.30am Tuesday morning April 17th. 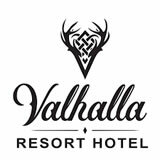 After a great day of golf, where the ladies also get to enjoy shopping and probably wine treats we head back to enjoy the Awards Dinner & Celebrity Auction at the Holiday Inn & Suites (Tickets Available) commencing at 6.00pm. We welcome you to join us as a player, sponsor or spectator. All proceeds go to benefit United Way of White County and its many agencies it supports. The United Way of White County Celebrity Golf Event is very pleased to have the Gina Gailey Band perform at the Awards & Auction Gala on Tuesday April 17th 2018. 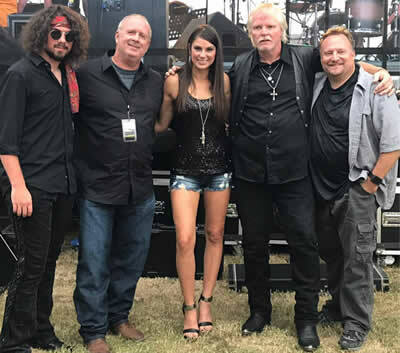 The Gina Gailey Band is well known to put a fantastic show and their attendance will be another highlight of our celebrity charity golf event. Gina an Atlanta native, was nominated as the 2016, 2015, 2014 and 2013 GA Music Awards Country Female Artist of the Year and her country rock performances are unique and powerful. Gina will also be releasing her new album "Original Outlaw" on January 27th in Atlanta at the Hard Rock Cafe, so we are sure to get a taste of a few tracks from her new work. Tickets for the Saturday night Awards and Auction night can be purchased separately, so if you would like to just attend this event you can. Also performing on Monday night at Bigg Daddys American Tavern for the Celebrity "Meet and Greet" will be Juke Joint Dukes. Performing Old-school blues Juke Joint Dukes has that soulful beat you don't hear from blues rock bands. 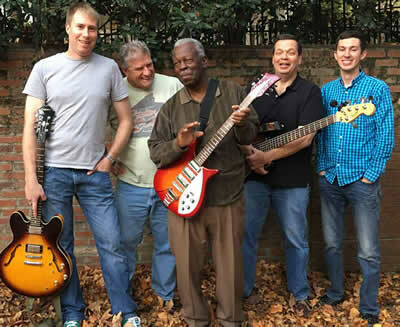 Led by William "Blues Man" Reed, this band is must see. 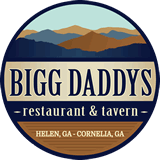 Join us at Bigg Daddys in Helen on Monday evening April 16th for this great show. The Festival of Trees will be part of the 2017 Calendar of Events for White County, Ga. The Festival will add to the excitement of the other popular events, the annual Helen Christmas Parade and the lighting of the Village, Cleveland’s Christmas in the Mountains and Lighted Parade. This year’s festival will be a gift to the community and fundraiser for the United Way of White County. There will be no admission charge. The trees will simply be on display for the enjoyment of everyone. Proceeds from the trees will go to the United Way of White County. The Festival is recruiting sponsors and volunteers to help bring together this wonderful event. Trees that are available for sponsorship in the Festival of Trees. - 7½ ft. pre-lit trees are available to be sponsored at $200 each, and 4½ ft. pre-lit table top trees are available to be sponsored at $125 each wreaths are also available to be sponsored by individuals or non-profit organizations for $50 each. 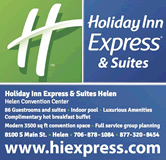 Sponsorship includes signage beside your tree or wreath; no other signage is permitted. Creating exquisite holiday items that will be desirable for visitors of the festival to purchase and display in their homes or business. Creating a magical holiday atmosphere for the entire community to enjoy. Helping to raise money for United Way of White County that benefits the residents of White County. The United Way of White County funding allocation application for all organizations is published here and must be received by 5.00pm December 29th 2017. There will be no exceptions. We welcome back this year to the United Way of White County Charity Golf Day, Sol Brannan, someone that played in the first Superbowl game for the KC Chiefs in 1966. Sol also played for the New York Jets, Cincinnati Bengals and the Detroit Lions in the NFL in a career spanning 10 years. Now with 30 years experience as a football player or coach Sol is currently the Head Coach for the Morris Brown College Wolverines in Atlanta. Born in Savannah GA, Sol has another famous link to football being the player that scored the first touchdown in the history of the Cincinnati Bengals. 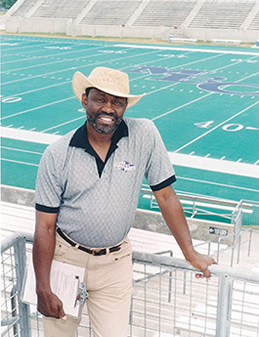 He has been inducted into the City of Savannah Sports Hall of Fame, Extra Point Club, Inc., Sports Hall of Fame; the Morris Brown College Athletic Hall of Fame and the Morris Brown College National Alumni Association’s Louis English Memorial Sportsman Athletic Award. Charlie Washington Criss, Jr. was born in Valhalla, New York. At only 5'8" a guard, Criss was the shortest active player in the NBA when he entered that pro league. He won an MVP in the Continental Basketball Association, with the Scranton Apollos in 1976, then next played for the Washington Generals. 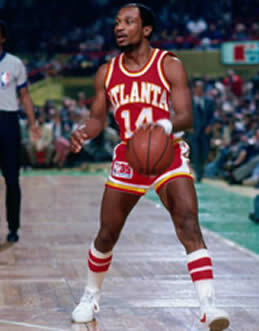 He joined the Atlanta Hawks of the National Basketball Association the following year, and played eight seasons in the league with the Hawks, San Diego Clippers and Milwaukee Bucks. All content on this site is deemed correct at time of publication however we accept no responsibility for possible errors or ommisions. Images used on this website remain the property of their respective owners. Copyright laws apply to all content.